For all Spa, Face and Body treatments, please endeavour to arrive at least 20 minutes before your scheduled appointment time. This will give you plenty of time to change into your robe and start to unwind in our tranquil Relaxation Room with a refreshment, before your therapist arrives to take you to your treatment. Jasmine’s is a great retreat for the busy modern urban male where he can come and relax and get away from the stresses of work and family life. Our most popular male treatments are massage, waxing and facials. Although almost all of the treatments offered at Jasmines may be enjoyed by men, we do offer a number of treatments that are devoted solely to them. Fed up with the mono-brow or hairy caterpillars above your eyes?! A good eyebrow shape emphasises the eye and gives you a more youthful and awake look. By trimming, waxing, plucking or threading, your eyebrows are sculpted into a shape that takes into account facial proportion and perfectly complements your eye contour. Are your eyebrows so light that they are almost invisible? Are they a different colour than your hair? Eyebrow tinting makes the eyebrow more noticeable; it adds the illusion of thickness and dimension and is great for covering grey hairs. It will enhance the general appearance of the eyes and is particularly beneficial for people who have very fair hair. The life cycle of the eyebrow hair is approximately four to six weeks therefore after this period of time the hair will have returned to its original colour. The treatment however, can be repeated on a regular basis. Eyelash tinting is a safe and quick treatment to enhance the general appearance of the eyes by creating more definition to the lashes, making them appear longer and thicker. It will change the appearance of your facial features making your eyes more noticeable. 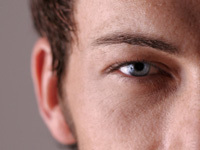 Blue eyes appear bluer, green eyes appear brighter, and brown eyes appear deeper. A range of colours and shades are available to cater for all skin types and colour. It is great for people with very light coloured eyelashes who want to ensure that they have definition at all times. The treatment is also popular for those who have changed their natural hair colour and want their eyelashes to match and blend in. There are different colours to choose from and the effect lasts for up to 6 weeks. A free patch test is required 24 hours prior to the treatment if no previous tinting has been undertaken. Is this a gift? Why not treat them to a gift voucher to use at Jasmines for this treatment. Jasmines has been awarded the status of Regional Spa Winners for Outstanding Business Development, for the South of England, by Decleor UK, Jasmine's highest and proudest accolade to date. Jasmines has also been recognised as one of the leading Beauty Salons and Spa's in the UK, awarded the "Most Progressed Salon & Spa in the South East of England". 2000-2019 Jasmine's outstanding customer care and treatments have also been acknowledged by Decleor and we are proud to have held the elite status of "Aroma Gold Decleor Salon" for excellence and achievement for the past 19 years.